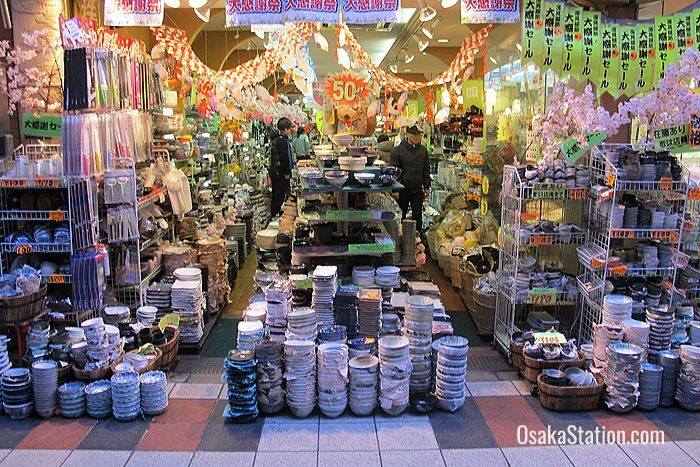 Doguyasuji Shotengai is a 150 meter long shopping arcade in the Minami district of Osaka that is lined with specialty shops selling cookware, kitchen utensils and restaurant supplies. 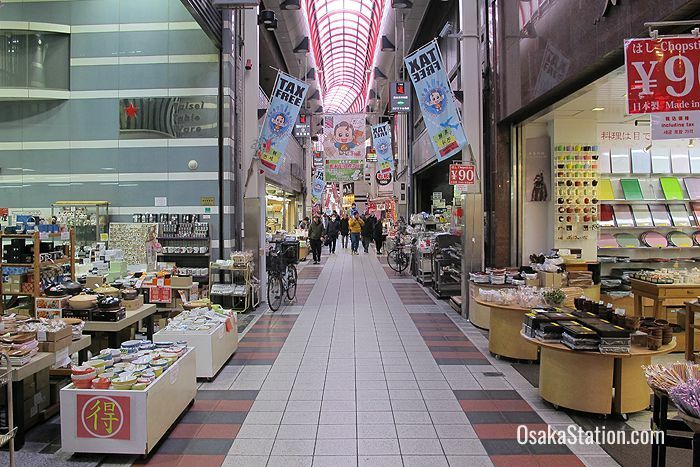 This arcade with its variety of appliances, tableware and cooking accessories provides an interesting counterpoint to the nearby fresh food market at Kuromon Ichiba and can also be a good spot for picking up some unique souvenirs. The road now known as Doguyasuji Shotengai was previously a pilgrimage route used between Hozenji Temple to the north and Shitennoji Temple in the south. 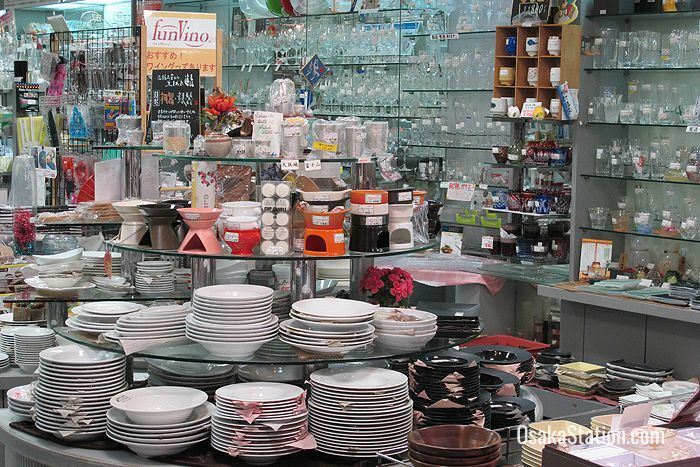 From the 1880s onward general stores and antique furniture stores began to appear along the way. The entire area was destroyed by a great fire in 1912, but businesses returned and specialty wholesale shops selling cheap mass-produced utensils began to increase. The area was again completely destroyed by aerial bombing raids in 1945, but after the war ended it became a center for the black market. 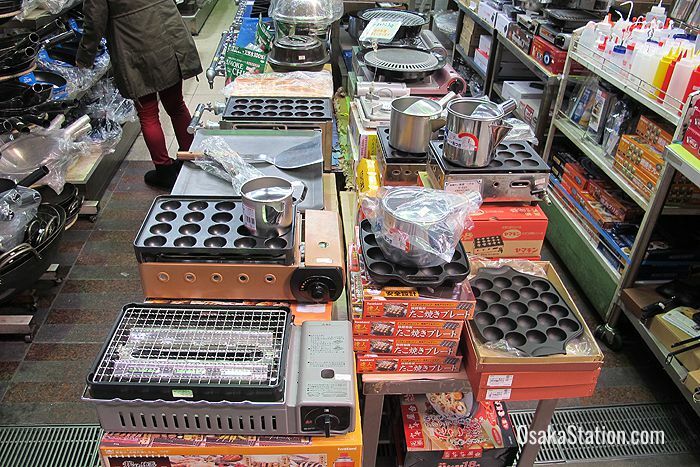 This was a desperate time in Osaka when people lived on their wits and survived by selling everything they had. In the early 1950s however, the black market was removed and the area began to revive. 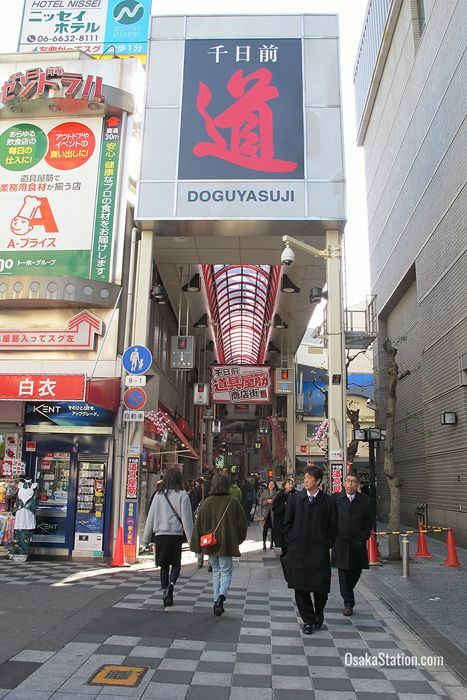 As the area continued to flourish the arcade (called shotengai in Japanese) was built in 1970 and Doguyasuji Shotengai as we know it today was complete. 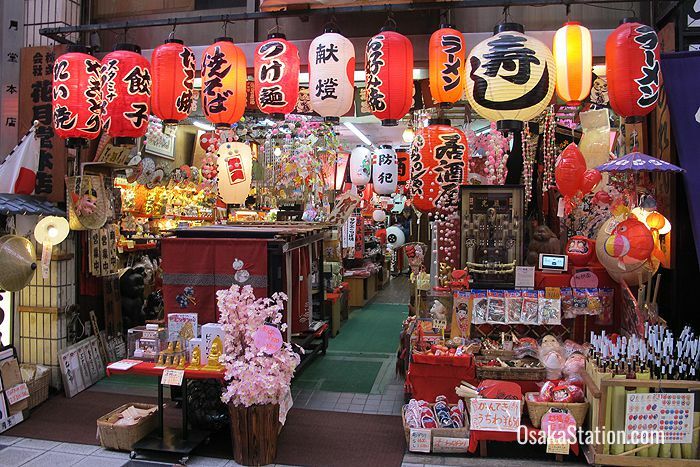 In 1985 the first Doguyasuji Festival was held and this has now become an annual event. 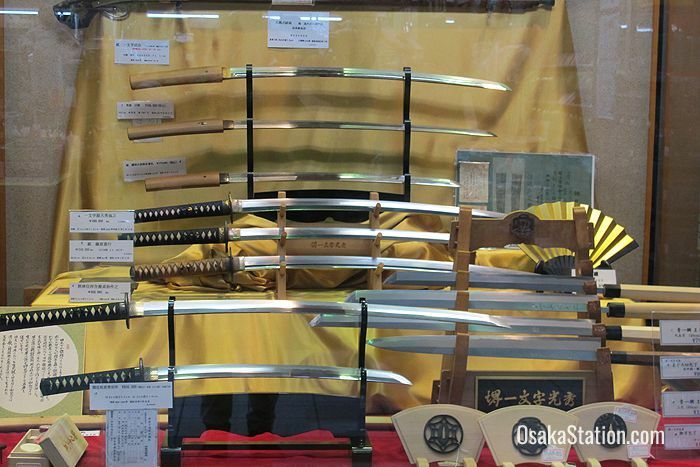 Held every October the festival involves cheap goods on sale, and street-side cookery and knife-grinding demonstrations. 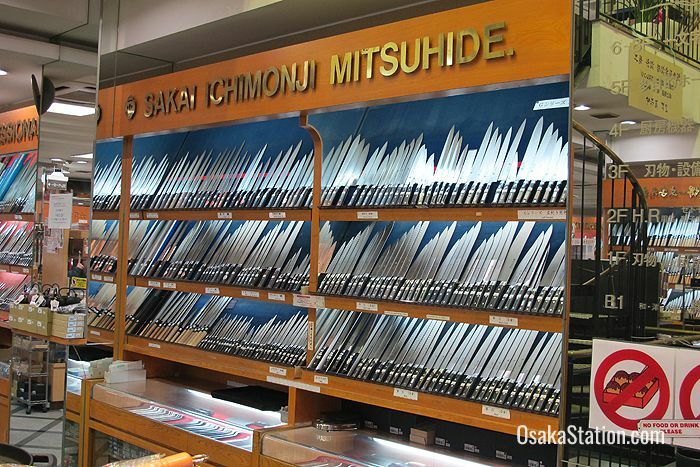 Osaka is often nicknamed the “Kitchen of the Nation” and Doguyasuji is in turn nicknamed “Kitchenware Street” as many professional chefs and cooks buy the tools of their trade here. 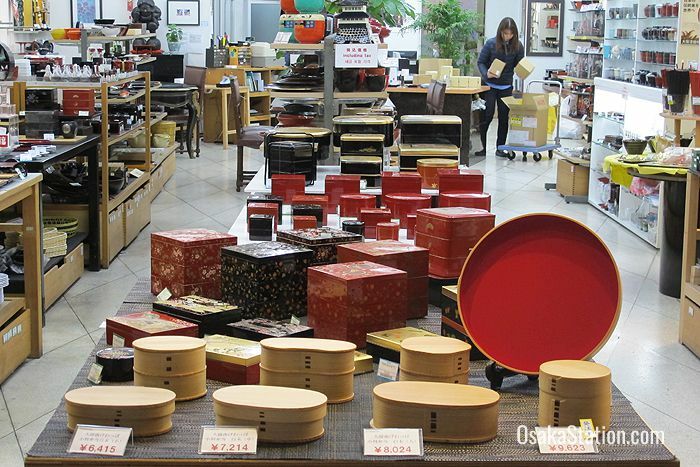 If you are interested in buying reasonably priced ceramics, lacquerware, super sharp kitchen knives, and sturdy pots and pans then this is the place to come. 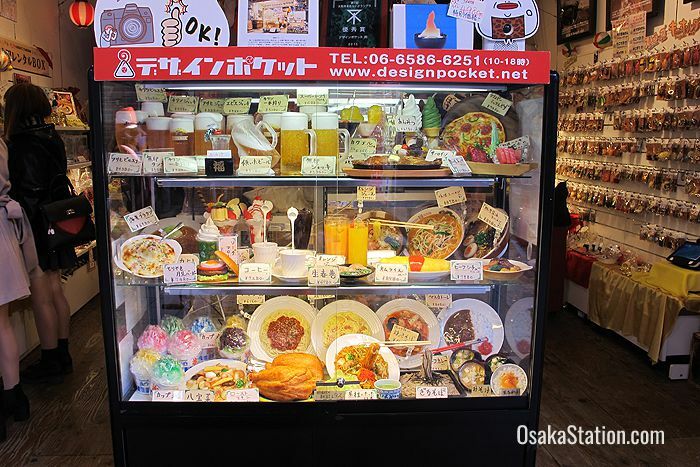 However, you may also be interested in some of the other restaurant supplies on sale: plastic replica food, large paper lanterns, noren split curtains, maneki neko beckoning cats, and all kinds of restaurant signage are also available here. Here are some highlights to look out for. 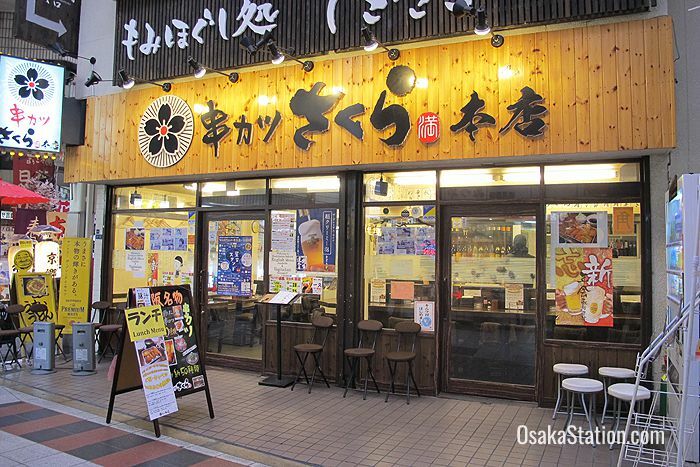 Sennichimae Doguyasuji Shotengai is 3 minutes on foot from Nankai Namba Station and 7 minutes from Nippombashi Subway Station. 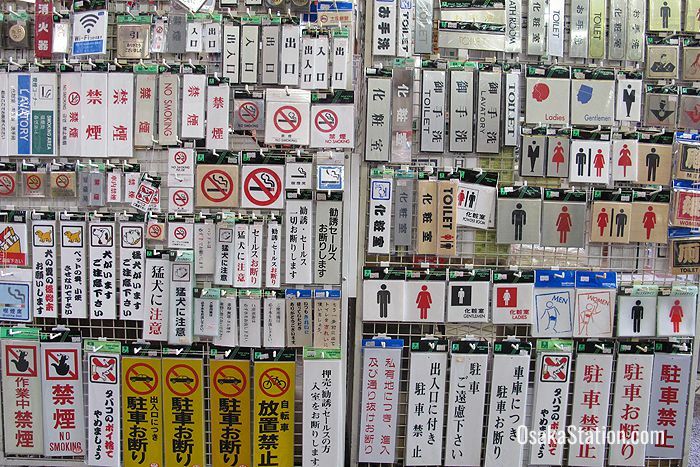 As Kuromon Ichiba Market is just 6 minutes to the east of Doguyasuji these two areas are easily explored together.